John Tavares may be lighting up the lamp with the Toronto Maple Leafs, but on the other side of the coin, teammate William Nylander is still searching for a spark. This has left the club in a bit of a quandary as it hopes to sprint to the end of the season while firing on all cylinders. The Leafs may need all the scoring they can muster in the near future if they hope to challenge Tampa Bay for the Atlantic Division lead as their top two goalies Frederik Andersen and Garret Sparks are currently out with injuries. 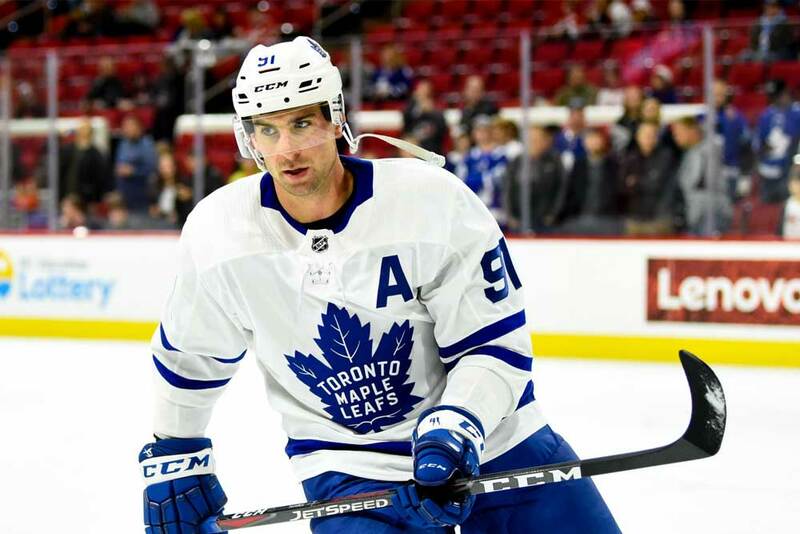 Most hockey fans are familiar with Tavares’ story as he ended up with his hometown team last summer after leaving the New York Islanders. The center promptly signed on the dotted line when Leafs’ general manager Kyle Dubas presented the free agent with a seven-year offer worth $77 million. Nylander’s recent tale of woe has also been well documented. The restricted free agent and Dubas didn’t come to a contract agreement until the last minute on December 1st and he’s contributed just one goal and two assists in his first dozen outings with the goal coming in his most recent game. He’s being paid well though as his new deal is appraised at $41.77 million over six years with an average yearly dividend of $6.9 million. There were some in Leafs Nation who believed the Tavares deal was too long and too expensive and would send the team’s pay structure and salary cap situation out of whack. Ironically, the naysayers felt Dubas would have been better off saving some of the coin to sign his own free agents such as Nylander, Mitch Marner, Auston Matthews and Jake Gardiner. Those opposed to the Tavares signing may be having second thoughts now though. The 28-year-old, who was drafted first overall by the Islanders in 2009, had a team-high 26 goals to accompany his 20 assists after the Leafs first 40 games of the season. One of the main reasons for his early success has been the chemistry Tavares has enjoyed with diminutive right-winger Marner. The duo have almost been as dynamic as Batman and Robin and there’s no need for head coach Mike Babcock to tinker with them. Scoring projections are akin to peering in a crystal ball though as anything could happen between now and early April. However unlikely, Tavares and Marner could go stone cold while Nylander may suddenly catch fire. But when it comes to getting value for their money, the Leafs have definitely been cashing in on Tavares while still waiting for Nylander to pay off. There’s still a long way to go though and we’ll need to revisit the situation in another half dozen years to determine the outcome of Tavares and Nylanders’ contracts. However in the meantime, Tavares has certainly been earning his keep. Nylander’s funk isn’t totally unexpected since he missed training camp, the preseason and about a third of the schedule. What is worrying to Leafs’ brass and fans though is the fact it’s taking so long to snap out of the doldrums. Babcock’s not going to send him to the press box anytime soon unless he wants to embarrass Dubas in the process so the winger’s going to have to play his way out of it. 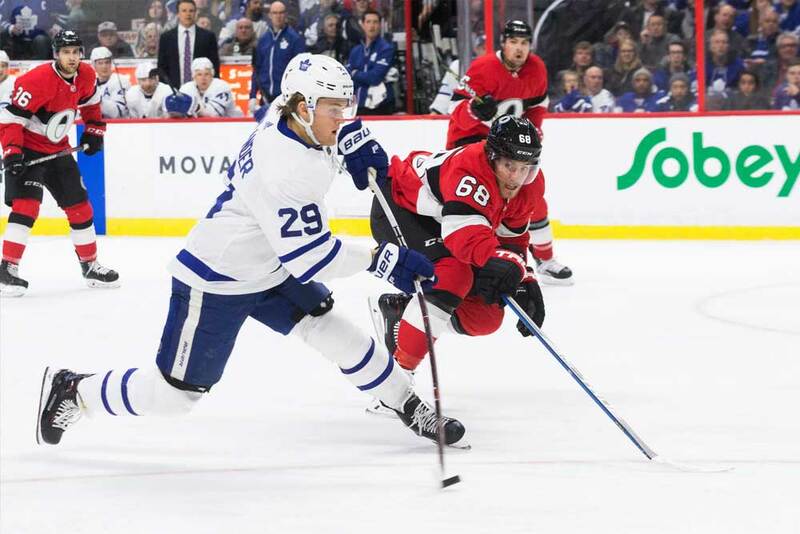 The coach has been experimenting with Nylander by often playing him alongside Matthews in hopes of rekindling their former magic. Perhaps Babcock’s barking up the wrong tree though. Why not give Nylander an extended audition on the left wing with Tavares and Marner? Those two have been burning it up so far this year and if Nylander can’t find the back of the net playing with that pair then maybe he never will. In the long run, the fact Nylander missed the first couple of months of the season may actually benefit him. In many cases players start to tire over the 82-game schedule when the dog days of winter arrive. They find it a bit hard to stay focused since the league takes a Christmas and All-Star break and then the trade deadline plays on their minds. While others may begin to lag, a fresh Nylander could be able to take advantage of the situation. He’s even snipped his long blonde locks of hair in hopes of changing his luck and could be onto something since his first goal of the season came shortly after visiting the barbershop. Nylander’s haircut may or may not kick start his season, but one thing’s for sure; the Leafs need to remain healthy and have all of their top guns firing once the playoffs roll around. They’ve been eliminated by the Washington Capitals and Boston Bruins in the first round of the postseason the last two years and could end up facing Boston or Tampa Bay in the opening series in April. With offensive juggernauts Matthews, Marner, Tavares, Nylander, Gardiner and Morgan Rielly in the lineup and Andersen between the posts, there’s no time like now to take a decisive stroke forward instead of simply treading water.